Karma Lakelands ARE YOU A VENDOR? 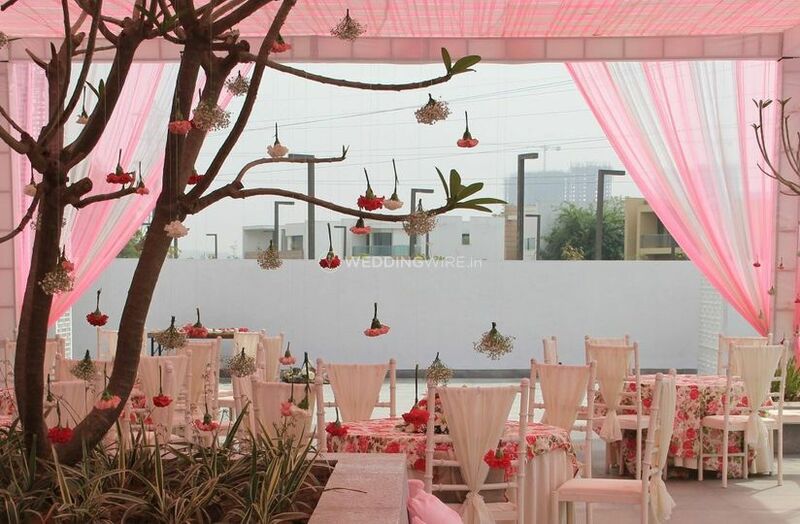 Karma Lakelands is a stunning venue located in the city of Gurgaon, and it is one of the most luxurious properties in the city that you can choose for your grand occasion, that is your wedding. It is perfect to celebrate your big day as it is fully equipped with all the amenities and facilities you may require to make your experience smooth and convenient. Plus, its team of professionals will make sure to provide you and each one of your guests' highly personalised attention in order to make your wedding a memorable affair that you can cherish for the rest of your lives. Karma Lakelands has an indoor banquet hall, centrally air-conditioned and outdoor space for you to carry out all your wedding festivities in. They can accommodate more than a hundred guests, which makes this venue ideal for small and medium-size wedding-related events. They have a capacity to hold up to 1200 guests and make them all have a time that they will never forget and mark this venue permanently on their lists. 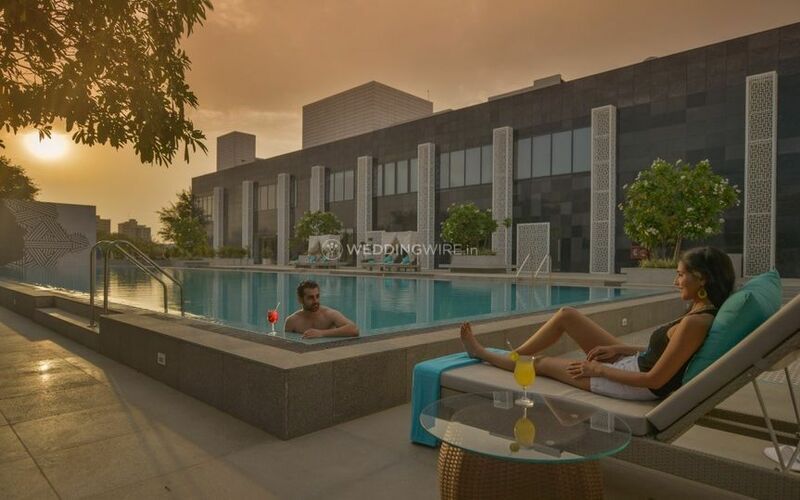 Not only this, but they also offer a plethora of amenities which incorporate furniture, basic lighting, electricity and backup for your hassle-free experience. 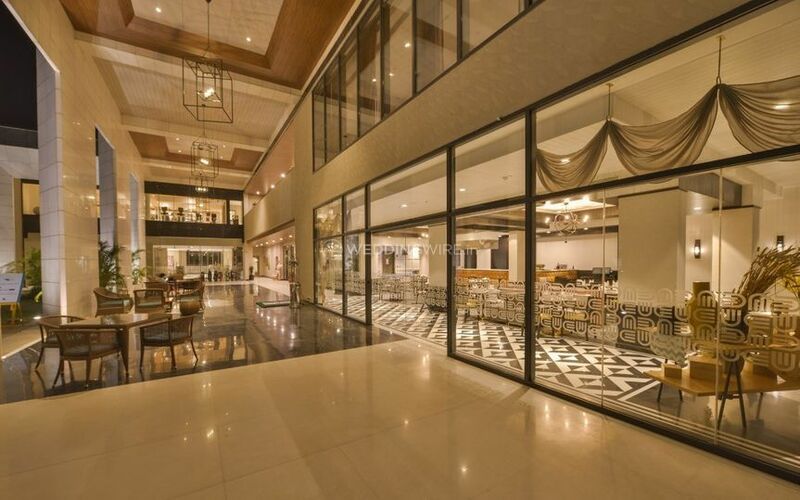 The management and staff of Karma Lakelands offer you with a multi-cuisine vegetarian and non-vegetarian menu, from which you get to choose from, or simply opt for the a-la-carte menu or go for the buffet style. They also allow outside catering service and provide you with alcoholic and non-alcoholic drinks and beverages. 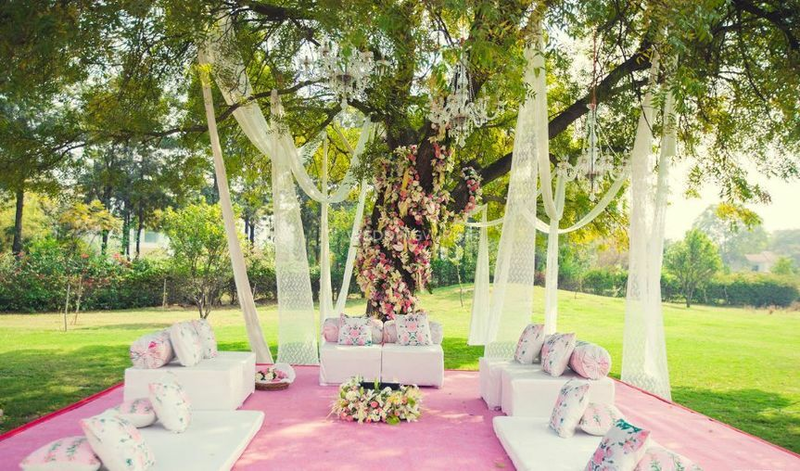 Plus, they will take care of your wedding décor including floral arrangements and seating details and setup. Karma Lakelands also offers you with event rentals, A/V equipment, lighting and sound setup as well. They take care of absolutely everything to let you make the most of your ceremonies without any issues or troubles. Amazing location! One of the best properties in the area! This is an amazing property. From a wedding location perspective, it could not be better. The decorations are spot on and there is ample parking space. The food is extremely good. 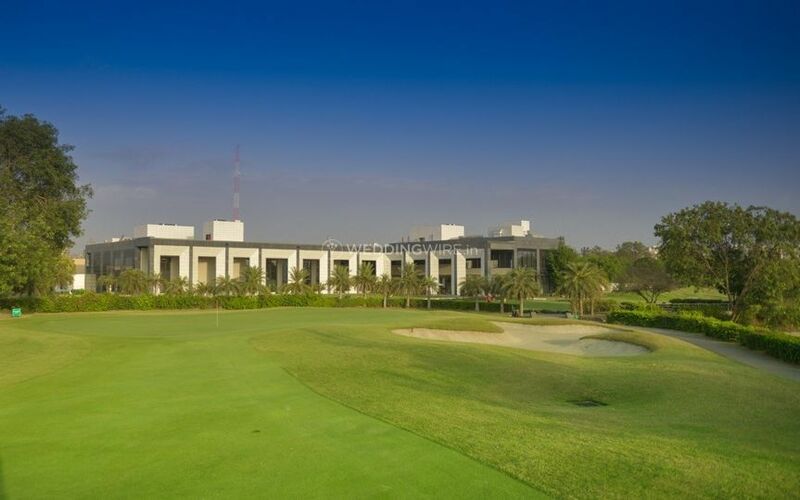 You would be impressed with the lush green surroundings.